Honeywell Filter A Plus - this is a premium replacement for the Honeywell 38002 Universal Pre-Filter. Captures larger particles such as dust, lint, pet hair, & fur from the air that passing through the filter when used as directed with the recommended Honeywell or Vicks models. Package contains 1 large pre-filter. The perforated design makes 1-8 pre-filters depending on the air purifier model. Replace every 3 months to maintain freshness. Works with certain Honeywell True HEPA Air Purifiers including: HA090 series, HPA090 series, HA100, HPA100 series, HPA200 series, HPA250 series, HA300 series, HPA300 series, 10500 series, 10590 series, 11150 series, 12500 series, 13300 series, 13503, 13520 series, 13530 series, 14500 series, 17000 series, 18100 series, 40000 series, 50100 series, 50150 series, 50200 series, 50250 series, 50255 series, 50300 series models, 60500 series models, 61000 series models, 62000 series models, 63000 series models and 64000 series models. Honeywell Household Odor & Gas Reducing Universal Pre-filters effectively deodorize the air and trap larger particles such as dust, lint, fibers and pet fur. Enjoy the many comforts associated with surrounding yourself with a pristine breathing experience all year round. This Genuine Honeywell Filter is extremely efficient in capturing particular household gases such as ammonia and the gases from cleaning products, paint and furnishings. Product Dimensions: 15.5 x .13 x 47 in. 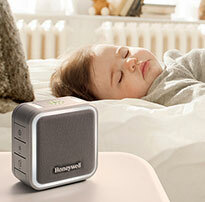 Honeywell HRF-APP1 pre-filters can be used in a variety of Honeywell Air Purifiers. This large pre-filter can be cut (cutting templates included) to make 1-8 pre-filters based on your particular model. Please check the air purifier model ranges below to see if your air purifier is listed and to see how many pre-filters you will get out of the HRF-AP1. HA090 - HA099 Air Purifier Series: 8 Pre-filters Included. HPA090 - HPA099 Air Purifier Series: 8 Pre-filters Included. HPA-094 - HPA094 Air Purifier Series: 8 Pre-filters Included. HA100 - HA109 Air Purifier Series: 8 Pre-filters Included. HPA-100 - HPA100 Air Purifier Series: 8 Pre-filters Included. HPA100 - HPA104 Air Purifier Series: 8 Pre-filters Included. HPA-104 - HPA109 Air Purifier Series: 8 Pre-filters Included. HPA-105 - HPA105 Air Purifier Series: 8 Pre-filters Included. HA200 - HA209 Air Purifier Series: 4 Pre-filters Included. HPA-200 - HPA200 Air Purifier Series: 4 Pre-filters Included. HPA200 - HPA209 Air Purifier Series: 4 Pre-filters Included. HA-202 - HA202 Air Purifier Series: 4 Pre-filters Included. HPA-204 - HPA204 Air Purifier Series: 4 Pre-filters Included. HA300 - HA309 Air Purifier Series: 2 Pre-filters Included. HPA300 - HPA309 Air Purifier Series: 2 Pre-filters Included. 10500 - 10509 Air Purifier Series: 2 Pre-filters Included. 10590 - 10599 Air Purifier Series: 4 Pre-filters Included. 11150 - 11159 Air Purifier Series: 2 Pre-filters Included. 12500 - 12599 Air Purifier Series: 2 Pre-filters Included. 13300 - 13399 Air Purifier Series: 1 Pre-filter Included. 13503 Air Purifier Series: 1 Pre-filter Included. 13520 - 13529 Air Purifier Series: 1 Pre-filter Included. 13530 - 13539 Air Purifier Series: 2 Pre-filters Included. 14500 - 14599 Air Purifier Series: 1 Pre-filter Included. 17000 - 17999 Air Purifier Series: 2 Pre-filters Included. 18100 - 18199 Air Purifier Series: 8 Pre-filters Included. 40000 - 49999 Air Purifier Series: 2 Pre-filters Included. 50100 - 50109 Air Purifier Series: 4 Pre-filters Included. 50150 - 50159 Air Purifier Series: 2 Pre-filters Included. 50200 - 50209 Air Purifier Series: 2 Pre-filters Included. 50250 - 50259 Air Purifier Series: 1 Pre-filter Included. 50300 - 50399 Air Purifier Series: 1 Pre-filter Included. 51000 - 51999 Air Purifier Series: 2 Pre-filters Included. 52000 Air Purifier Series: 2 Pre-filters Included. 5250 - 5259 Air Purifier Series: 1 Pre-filter Included. 53000 - 53999 Air Purifier Series: 1 Pre-filter Included. 60500 Air Purifier Series: 3 Pre-filters Included. 61000 - 61999 Air Purifier Series: 2 Pre-filters Included. 62000 - 62999 Air Purifier Series: 2 Pre-filters Included. 63000 - 63999 Air Purifier Series: 1 Pre-filter Included. 64000 - 64999 Air Purifier Series: 1 Pre-filter Included. Excellent filters. No complaints here. The filters we needed during the height of the pollen season in Florida were shipped on a very timely basis, were well packed and immediately dispatched. The use of these filers works wonders in our household. Like how these pre-filter is easy to make into other sizes. Great product. Original and the only one I'll use..
Products are strong and don't fall apart. Easy to install. Product came in well packaged and on time. installation was a breeze. Highly recommended to the next guy. Second time I've ordered. Excellent product. It's amazing how quickly odors are removed! I called representative and they were so helpful!! They found exactly what I was needing and gave me advice on if it would help! We have been with Honeywell products in our families for so long, we wouldn't order elsewhere! We had tried a generic version - they smelled so bad we threw them away the same day. 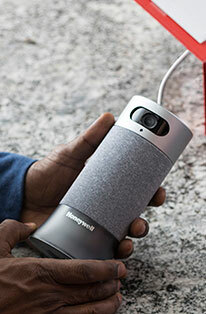 Then we bought Honeywell direct from the online Honeywell store because we wanted to make sure they were not knockoffs sitting on the discount stores shelves. We now only use genuine straight from Honeywell and are very pleased with the effectiveness and durability. Product delivered on time. Packaging was intact. Product works as it should! Will keep ordering from company! This pre-filter is large enough that it can be cut for use two times in my machine and still have a bit left over. Easy enough to cut though, and really works remarkably well. I am appalled at how dirty it is when its time to change it. Obviously works! 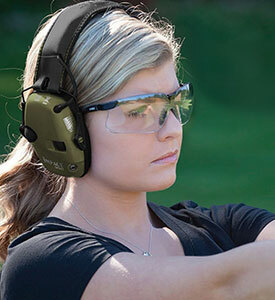 Honeywell puts out good products! This is a great system. We have had a lot of wildfires and during the recent Butte County fire, I felt like I was choking on the smokey air. I ran my Honeywell air filter continuously and stayed indoors as much as possible. I am convinced this saved me from getting sick since my lungs are very sensitive to wood smoke. Great product. We purchase these twice a year to reduce cooking odors in our house since we don't have a quality range hood vent fan. By the 6th month you can tell the odor reducing quality has been diminished. It's a shame they can't be refurbed with an activated carbon spray, but this works fine for us. Will purchase again. Received product intact and in excellent condition. Works well in my HEPA 200. I expected two ready to use pre-filters. Instead I got one huge filter that needed to be cut. No problem but not what I expected. I am so happy with my Honeywell Air Purifier and ordering replacement filters is a cinch. Not congested any more. Smells fresh whenever I enter my bedroom. Even just a minute or so after diaper change. We use these in our house with pets and it does a great job of catching dust and dander. Very happy with the product. Works very well. Would recommend you change them every 2 months or at least check them to see how dirty they are. This pre filter is the only one I will buy. It removes odors in minutes when air purifier is on turbo. I use these all time: they are very good. We learned the hard way - order directly from Honeywell. We purchased some from a store that looked legit - in Honeywell boxes - but they smelled horrible. We also tried other brands of material and filters - same problem. We are well-pleased with the products and feel we receive them in a timely manner. As always it is easy to order, the products work well and are not expensive to purchase or maintain. Reliable and consistent delivery and product quality. Excellent shipping and condition once received. Quality product. Good quality and easy online purchase. OH! MY! THE GREATEST FILTER EVER!!! I have been using the 50250 replacement pre-filters for years. They perform as expected, removing dust and odors from the air before the Hepa filter further cleans the air. The pre-filter comes pre-punched with cutting line holes wish they were white dotted lined for the people with vision problems but still easy for everyone else. This product fits many machines,as it's wide with multiple rows from top to bottom to custom fit your air purifier. They do need to add two more velcro strips to hold the end pieces down to prevent air going thru the slightly raised overlap area. I reused two velcro strips from previous pre-filter with purchases to help this. With that said a great bargain for allergy sufferers. Have noticed an improvement in indoor air quality after starting to use my air purifier. The price for these is reasonable. I always wish they came cut to size, but the extra material makes it possible to use for a smaller filter if you had one, saving some cost. Service was ex. and even though they were out of stock, you told us and they were sent as soon as you said. I have been purchasing with Honeywell for 3 years. Ordering and receiving the products has always been easy. The one time I had to return that was easy also. Better yet product has always been exactly as advertised which is most important. This filter has been really great for cleaning indoor air, especially after CA fires this year. Fabulous item. Works better than expected. Why buy imitation replacement filters, when the real thing is available by the company that made the air cleaner! In this day and age, I will not risk the integrity of my air cleaner, or my health, using something that might work! Very effectively removed musty odor from old house. I use these Odor reducing filters over the regular ones for improved performance. its a little difficult to get the filter to fit flat after its been folded, and there's a lot of scrap that can't be used, but it works just as expected. Works well. Easy to order on line, good delivery time. Great Item....Easy shopping because they accept PayPal payment. Ordered wrong product for what I needed, needed filter, but the pre-filters are amazing. Love my Honeywell Air Cleaner/Purifier! Thanks for great service! I own 2 Honeywell air purifiers, the HPA-100 & 17000-S models. Having tried-out both a universal-type carbon pre-filter, and the HRF-APP1, I find the HRF-APP1 to perform significantly better at odor reduction, as well as, controlling dust, lint, and cat fur. Although this pre-filter costs a bit more, it is definitely worth it! Work well as advertised. Ordering direct from Honeywell is by far the easiest way to obtain filters. The process is pretty user friendly, the order is processed almost immediately with rapid delivery. Never had any problem. I love this pack. I am able to cut two filters from 1 pack for my two different machines with nothing left over... no waste. You can't beat that! Does perform as advertised, affordable. I have FOOD and the air in my home must be top notch. Honeywell's pre-filters and filters do an outstanding job for my needs. 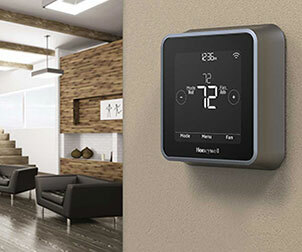 Expect only the best from Honeywell! This filter A plus is great for my Honeywell air unit. This filter works much better for odor control then the standard filter. It is easy to cut the filter to fit by either using the template included or by using your old filter as a guide. The odor removal feature does wear away with time but it usually happens within the time to replace the filter at three months. Works great in combination with all natural odor absorbers and is a consistent blessing to one with plumbing and walls in need of repair trust me, you don't want to know, the bubble wrap sometimes isn't enough. Works great for most VOCs and allows the fresh smell of our plants to take over. Decreases dust in older homes by a thousand man-hours. Although it somewhat dries the air, a little humidity can aid in the process of VOC removal. To avoid extra inhalation of potentially harmful particles in older basements, I suggest the germ mode or turning it off while in the area. Naphthalene seems to be the toughest to remove, but a trusty bucket of water will help with clearing and help keep the filters smelling fresh. Just leave the bucket overnight and dump in the morning of course, I assume we all follow the instruction manual stating something, somewhere about do not submerse...or something. Even the toughest man-made chemicals eventually go, including the hated air freshener and perfume aisle. Works great with the R filters and H filters to remove nicotine and the blasted and trendy e-cigarette oils. Even my dog loves the fresh smell of zeolite. Although a bucket of water is helpful, the breakdown products and chemical reactions may be potentially harmful if the water is left to long due to unknown reactivity of ions in water and the polar nature of the water molecule. I am getting mostly the smell of hydrocarbons if the water is left too long in the naphthalene environment, but am also concerned about other potential ionic reactions. Certain clay minerals seem to trap the breakdown products and smell horrendous after usage. I am trying a new approach that probably won't work without other potential VOC problems. Received quickly and just what I expected. Came in an easy storage box! I have been using these filters for the last two years and find that they are effective in catching a lot of the cat hair we have due to our two cats. Cutting the material to fit our filter is a bit of a pain but is manageable. I love my Honeywell air cleaner. The filters are great! Please keep making this air cleaner! Excellent product for a reasonable price, these machines keep me alive with my illness.....where Dr. recommended and would benefit anyone with allergies or breathing issues, also anyone living in a moldy condition. Thus far, the product seems to perform as expected. However, given this is the first time I've used this specific pre-filter type in both my Honeywell 17000-S and HPA-100 air purifier models, I am continuing to evaluate it. Ordering the product on-line from the Honeywell Store was easily done, and the item arrived within the expected time period. I will be certainly be re-purchasing this item again. Freshens the air with a light aromatic scent. It's good to the get a email reminder. Forgot the last time I replaced it and I could not find my extra filter until I received my new one. It works great. Gas reducing pre-filter for air cleaner. Received in a timely manner and works very well. Price good. Brought this to extend the life of the filter, and reduce odors. It does a good job on cooking, and other odors, just clears it away. Will buy again. I am learning that to buy from the original company is the direction for the best product. I bought the box of four which will help me out the next year. I am using this Air Cleaner to remove Cockatoo dander, feather particles and powder from my kitchen because my wife has developed a lung problem from this allergen. To make sure the unit performs as designed I was not going to buy a generic equivalent to save a few dollars. Based on my professional experience in building taking a chance on a possible underperforming product would make no sense. After buying a HPA300 for w/parrot dander/powder sensitivity I wanted to make sure I had on hand a two year supply of the 3 month replacement pre filters that met the manufactures design standards and was not willing to save a few bucks when it came to my wife's health with a generic brand. This unit, placed in the kitchen that the birds live in, is performing as rated by the top consumer magazine. Lots of filters to last several years in four boxes. AIR PURIFIER WAS A GIFT AND I CANNOT BELIEVE HOW GOOD IT WORKS: FROM CAT HAIR AND DANDER TO SMOKE, TRULY LOVE IT. Received product in good condition. Took about 1 week to receive. This is a very effective filter for my Honeywell purifier. I have a pet and this filter really works to keep the air fresh and clean. Great product, Unit works like new even though it's 20 plus years old. I purchased another replacement filter and Pre-Filter from another vendor and I can tell you that the quality is obvious. Go with OEM, it's worth it. These Carbon odor reducing pre-filters are working great. As a severe asthmatic here in allergy central the State of Virginia, this product helps me sleep at night as the dust and allergens are cleaned away by the pre-filters and HEPA filter I own. Thank you Honeywell store for helping me get the product I needed with purchase and site navigation and final sale. This replaced my original filter. I notice an increase in odor removal with this type of filter over the original. Clean air with the ease of a wrap-around. These came the exact width that my purifier required. All that was needed was to cut for the correct length. Couldn't have been easier! This pre filter didn't fall apart while handling like the ones I purchased in the brick and mortar store. Thanks so much!! Very much appreciate fast shipping and great customer service people. Just what I needed at a way better price than going to the store. The pre-filter is working quite well, thank you. Works very well, could tell the difference the first day! Good product, certainly does the job. Fast delivery, fair price. Product works as it should. This is a good replacement filter, which I've never had any problems with. I have used these filters for years. Quality has always been excellent. perfect fit easy to find. Convenient and easy to find. New filter is working great. Helps my dog allergies by collecting fur and dander. I had to trim this before I used it. The product is the best! I can now breathe better. I live with a heavy smoker and I don't believe there is a better product out there! Like to be able to custom fit. Allows for more use and that saves me money! Excellent! Good product and I will be ordering more! These work very well at removing odors in my home. Delivery was expedited and product is what was ordered. thank you. Received my filter in a very timely fashion. Filters are one size fits many models. You cut to fit. One side has a white powdery coating. Nothing said which side is the IN facing side. Glad I was able to get a new filter. After cutting I was able to fit remnants into our smaller air purifiers. No wasted pieces that way. Received in a timely matter.No issues. Am very pleased. Easy to install and a quick delivery. Works well. Break -in phase is not a problem when you follow Hepa operating instructions. Easy to put in. Does a great job! These filters work very good, I am pleased with the service I receive from Honeywell. After suffering from allergies I decided to take the plunge and purchase an air purifier. I have only owned it about two weeks, but have no complaints whatsoever. This pre-filter is very simple to apply as well. I recently purchased this air cleaner for both my home use and in the research lab that I work in. I was particularly interested in the cleaner and these filters that helped with gases in both locations. In my apartment, the carpeting was changed before I moved in and the air was not turned on for several weeks before I moved in and there was a persistent odor from the carpeting. The air cleaner helped a lot to remove the smell and helps with any sort of allergies or reactions. I can get better sleep at night and I got less headaches and woke up less congested when I use this machine. At work, there is concern of inadequate ventilation in the lab and this filter helps to remove the chemical smell in the air, giving me at least some peace of mind that the air I breathe is somewhat better as a result of the purification. I really like the fact that this filter can trap some of those VOCs and odors. Great product. These do what I want. Great around the house, and really help hotel rooms when we travel. Easy to change and works very well! It is a fair price for this product but would welcome a sale as we only replace with Honeywell product. Fast shipping and arrived in good condition. Would recommend. I have multiple allergies and asthma. I have been using a Honeywell air purifier for over 20 yrs. This pre-filter is one of its replacement parts. I wouldnt be getting any sleep at night without the air purifier. Really does reduce household odors! I am very happy this product. will order again. I own the 50250 model air purifier and had to order this product. The size for mine was no longer manufactured. It was almost too short to go around the unit and the piece that was cut off is wasted. As far as the ease of ordering and speedy delivery, I am very pleased. I will continue to shop at the Honeywell store online for all future purchases. This model air purifier is ranked #3 according to Consumer Reports, with the first two way out of reach as far as the price. Clear and understanding customer service. Will do business again soon! i have two huskie dogs works great! We have the Honeywell can hepa filter and needed the carbon outer filter. They came as promised, perforated and all. Product arrived timely and as specified. Once again the product, service and timely arrival of our filters was excellent. We have enjoyed our air purifier and it and the filters have met our expectations. Q: Are these authentic Honeywell Pre-filters? A: Yes, the Honeywell Store only sells Genuine Honeywell Filters. Q: What is the size of the filter? It seems to big to fit my air purifier? A: Laid flat this pre-filer measures 15.5 x .13 x 47 inches. This pre-filter can be cut (cutting templates included) to make 1-8 pre-filters based on your particular model. Please see the compatibility tab to see how many pre-filters you can make for your specific model.